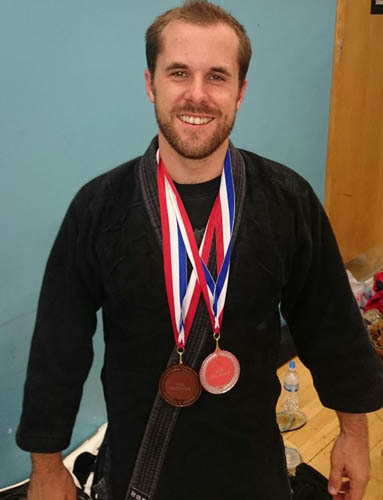 It’s been a little while since our last Martial Artist of the Month but we’re back, and to kick off the month of August, we had a chat with martial artist, Adam Phillips. Hello Adam, please can you tell us a bit about yourself? My name is Adam Phillips, and I work as a personal banking advisor in a high street bank. I’m from Andover, Hampshire, England, I have two beautiful girls and a gorgeous fiance called Jen. How old were you when you got into martial arts and what made you want to learn? I was 27 years old! 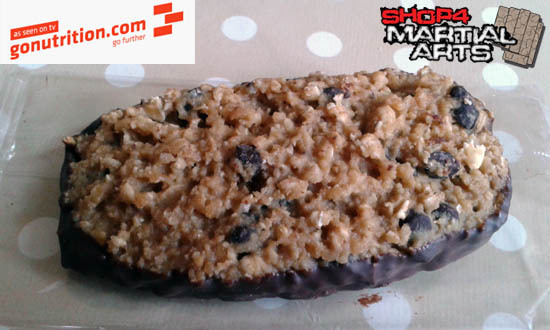 (bit of a late starter). I was involved in an assault, and like most people, up until that point, I was always under the impression that I could handle myself. Turns out, I didn’t. So that was the kick up the back side I needed to start doing something productive with my life. At the time I still smoked and went out with mates, drinking, fairly regularly. 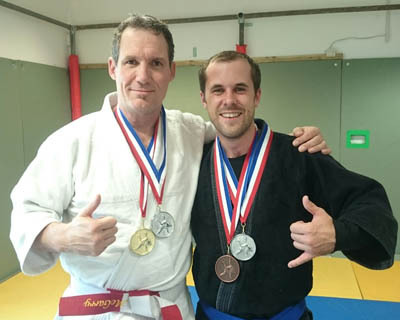 A friend of mine (Alexei Roberts) met up with me and he said why not come to his jujitsu class. Having never really been in a fight, and after having bruised ribs still from the assault, I was a bit nervous, but thought, sod it, why not….best decision ever. First lesson I was given the communal spare gi, which stank of sweaty man, was given a syllabus, where by I had to learn the Japanese, the move and the technique and was simply asked to grade when I was 100% sure I was ready. Well in 3 weeks I got my first yellow belt… Then a month later, my orange, then a month later, my green, so on and so on…instantly hooked! Which martial art did you learn first? Have you entered any competitions? 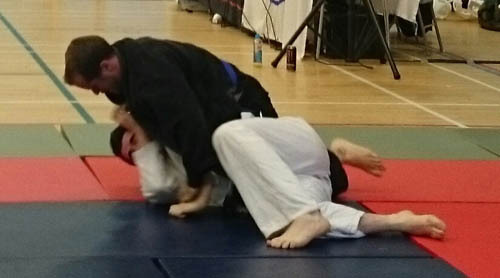 My first and only one to date is the AMA Nationals, held in Greater Manchester, of which I got a silver in Sports Jujitsu and a bronze in Brazilian jujitsu. What is your favourite weapon and why? Not a fan of any weapons really, I find them incredibly cowardly. However a samurai sword in each hand looks the nuts. Which martial art are you currently studying and at which club? Traditional jujitsu, Brazilian jujitsu, Muay Thai, kickboxing and boxing. 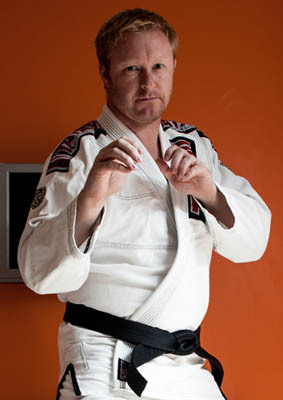 Luckily, Mike McGarry (club owner/sensei and 6th Dan traditional jujitsu black belt) have loads of different classes. 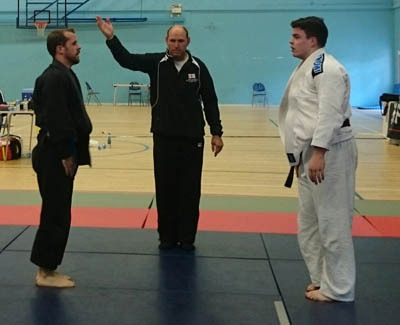 I’m also taught by Trevor Birmingham (Panam World Champion) for Brazilian Jujitsu. Alexei Roberts (Into The Cage champion, Southampton’s hardest man, featured on Cage Warriors and BAMMA UK – Google him, he’s immense!) helps me with Muay Thai, kick boxing and boxing. 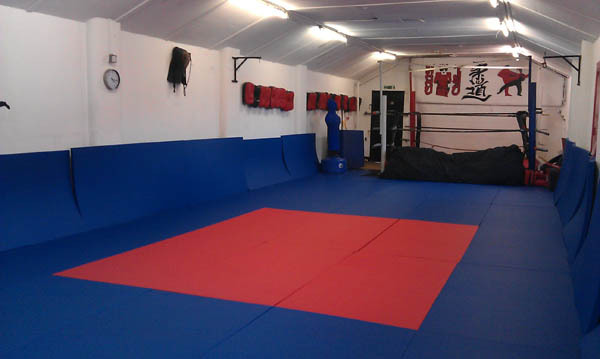 I train out of the Kyouken club based at Phoenix Centre on River Way in Andover. Which is your favourite technique? Throw – harai maki komi, executed properly, you can sweep pretty much anyone! Kick – hiza mawashi geri, great kick, looks like you’re aiming for the outta part of your thigh, then you chuck your foot straight into your opponents face, works 90% of the time, when you’re on the receiving end, you think you’ve blocked it, then, BANG! You get hit in the face! Who inspires you in the martial arts world? Current MMA – Jon Jones. Favourite all time MMA – Kazushi Sakuraba (The Gracie Hunter) although the people I train with inspire me more than anyone. I watch my sparring partner, Michael “gip” Cutting and his bjj is so slick, then I have Alexei who hits harder than a freight train! What are you most proud of in your martial arts career? What, other than being asked by your self to be ‘martial artist of the month’?… I would say that I’ve only been doing this for 11 months. I’ve gone from white belt to red belt, currently training for my brown, I’ve fought in the AMA Nationals and was a medallist, and I’m currently training to fight in Geneva in 2015 for the WCJJO world championships, representing Great Britain. I’m pretty proud of how quick I’ve come to love this amazing sport and martial art. Have you any advice to give to other martial artists out there? Any chance in life, that you get, to dosomething.. Do it. Say yes. The first step is quite literally that. A step…with your feet, into your local club. I’ve managed to stop smoking, lose 2 stone in weight, and get selected to fight and represent my country in less than a year. Imagine what would have happened if I had said no to Alexei. All of this would never have happened. What is your favourite martial arts film? Haven’t really got one, I find alot of them corny, but if i had to choose one, The Matrix. If you could actually dodge bullets, that would be pretty amazing! Thank you very much, Adam, for your time! 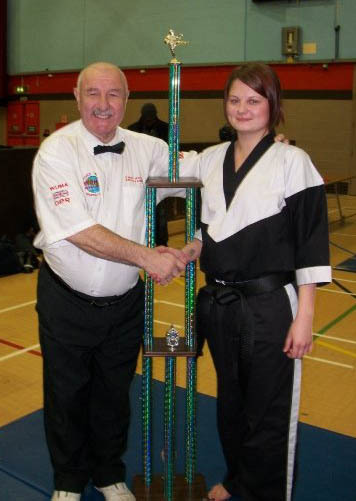 If you’d like to be considered for Martial Artist of the Month be sure to drop us an email. 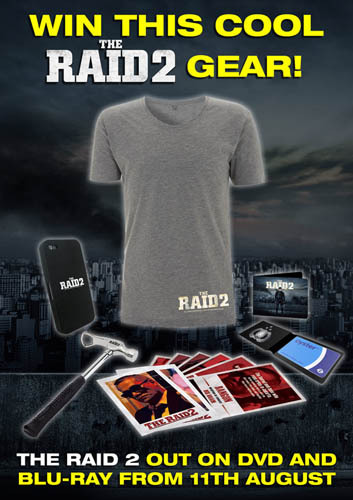 Win THE RAID 2 Merchandise In Our Competition!